Louis A. “Lou” Wacker is native of Highland Springs, Virginia. Inducted into the Emory & Henry Sports Hall of Fame in 2008, he led Emory & Henry to an unprecedented 164 victories, 11 Old Dominion Athletic Conference Championships and five NCAA Division III playoff appearances in his 23 years as head coach. 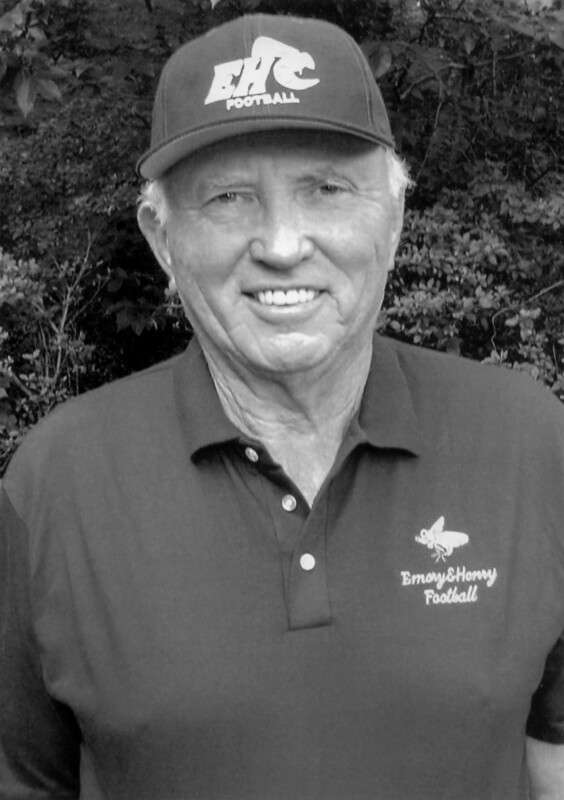 Wacker came to Emory & Henry in 1982 after spending 20 years as an assistant coach at Hampden-Sydney College under the legendary J. Stokeley Fulton. Under Wacker’s leadership, 136 Wasps were named to the All-ODAC First Team, 36 earned All-America honors and five were chosen as ODAC Player of the Year. The 1987 Emory & Henry team reached the NCAA Division III semifinals while the Wasps of 1992 were among the final eight in the country. From the final game in 1991 until the end of the 1998 season, Emory & Henry boasted a 37-game home winning streak, the longest in the country at the time. At the time of his retirement, Wacker’s 164 wins, 136 All-ODAC First-Teamers, 86 ODAC wins, 11 ODAC titles, five NCAA Division III playoff appearances, and five ODAC Coach of the Year honors were conference records. In 2014, the College honored Wacker by naming the home grandstand “Lou Wacker Grandstand” in appreciation for his accomplishments and dedication to Emory & Henry. Wacker was also inducted into the Virginia Sports Hall of Fame in 2014.